Helicopters have long been utilised within humanitarian efforts and combat operations throughout the world, largely due to their speed and mobility. Increasingly, however, over the past twenty years helicopters have been used in commercial enterprises, with helicopter rides being offered to the general public wanting to experience the adrenaline rush of extreme sightseeing. The earliest recorded references to upward flight can be traced back to China, circa 400 BC, where documents noted that children would play with a bamboo stick attached to a rotor which, when released into the air, would fly upwards slightly before slowly spiralling downwards. Not much happened within the helicopter industry for the next 1000 years, until Leonardo Da Vinci set aside his paintbrushes and his maths books one evening and doodled a basic design for an ‘aerial screw’ capable of upward motion. In the 1930s the first successful helicopter flight was undertaken and the Korean War of 1950-1953 saw them being used on a more widespread scale. The two key reasons why helicopters became so widely utilised within combat zones and humanitarian relief efforts relates to their speed and manoeuvrability. Soldiers, food and water could easily be ferried to-and-from particular points with stealth, whilst the area required to safely land a helicopter in is minimal in comparison to the space required to safely land a jet or an aeroplane. Contemporary helicopters are much the same as their earlier counterparts in terms of their basic design principle and their manoeuvrability, however, there has been a massive increase in the speeds that the helicopters of today can achieve. Whilst some of the earliest helicopters had a speed range of between 10 – 40 mph, today’s counterparts can travel upwards of 180 mph. Do You Feel the Need? The Need for Speed! Let’s take a look at some of these ‘Cheetahs of the Air’! You may well ask yourself why a machine of the skies is named after an alligator and you would be well within your rational rights to do so – although the Ka-52 Bald Eagle doesn’t quite have the same ring to it. The reasoning behind naming this speed machine after a riverbed-dwelling monster of the deep is largely due to it low-noise emission, oh, and it’s also painted dark green. Let’s get down to brass tacks. This Russian bad boy has a cruising speed of 160 mph and a full tilt speed of 186 mph. In contrast, real alligators can only run at a top speed of 19 mph because they’ve only got little legs – perhaps they should have called it the Ka-52 Bald Eagle after all! Along with the Apache, the Lakota, the Comanche and the Black Hawk, the CH-47 Chinook is another American helicopter named after a Native American Tribe. Perhaps not quite as bewildering as naming a helicopter after an alligator, but, nevertheless, still rather ponderous. Commentators have noted that the circumstance of the Americans continually naming their helicopters after Native American Tribes relates to wanting the aircraft to convey dignity and an aggressive spirit, qualities that contemporary Americans believe Native Americans possess. Additionally, many Native Americans opt to wear eagle feathers in their hair, thus the symbolism attached to this traditional dress is somewhat relevant. The Chinook is an American ‘twin-engine, tandem rotor, heavy-lift helicopter’. Which, in layman’s terms, means that is big and can carry a lot. Thanks to the Chinook’s ability to transport massive loads, it is widely used in operations requiring the deployment of large numbers of troops or mass cargoes in support of humanitarian relief missions. This chopper is the second fastest in the world, with a cruising speed of 180 mph and a top whack speed of 195 mph. Airbus, the manufacturers of the Eurocopter X3, obviously have a half-decent marketing department that knows how to go about properly naming a helicopter. You get none of your alligator nonsense with these French and German straight talkers. It’s European. It’s a helicopter. It’s a Eurocopter. Oh, and they’ve added the letter X and a random number after it to make it sound more exciting. This is your classic compound word/random letters and numbers branding. Anyway, if you think the guys and the gals in the marketing department know what they’re on about, then wait until you see what the guys and the gals in the engineering department have come up with! This miracle of engineering offers an adrenaline-busting cruise speed of 293 mph and a top dog speed of 303 mph. It is the fastest helicopter in the world by far! This lunatic machine is powered by two Rolls-Royce Turbomeca RTM322-01/9a engines. You will notice that Rolls Royce also knows what it’s doing when it comes to naming their products properly. It’s Turbo. It’s Mechanical. It’s Turbomeca. Although, they have rather overdone it somewhat with the obligatory letters and numbers. Your Own Adrenaline Fuelled Ride! 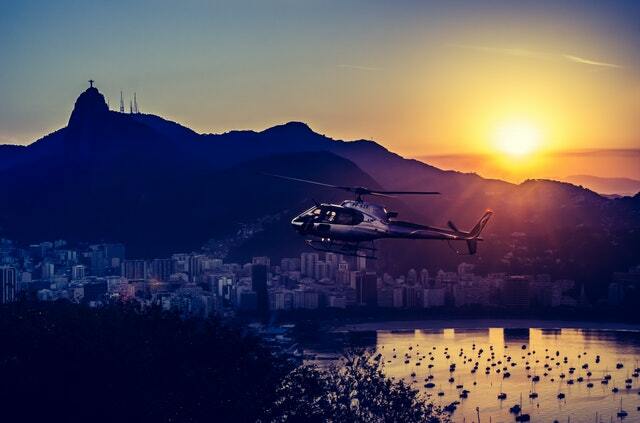 If you fancy indulging in some adrenaline-fuelled helicopter rides of your own then you can either buy one for around £30 million or, if you’re not going to use it that much, then why not simply book some helicopter rides with your local helicopter tour operator? Helicopter tour operators offer a variety of helicopter rides and packages, ranging from aerial tours of the Lake District, Snowdonia and the Salisbury Plains to flyovers of London, Oxford and the Manchester football stadiums. Many helicopter operators also offer the chance to make larger group bookings for helicopter rides, an option that is considerably popular with family and friends celebrating special occasions. Whilst the most obvious reaction to the experience of helicopter rides that people report is a rush and a sustained feeling of adrenaline, it should also be noted that this is also countered with an underlying appreciation of the beauty of the scenery when observed from on high. A heightened sense of appreciation for the wonder of both the natural world and the industrial world is achieved; thrill seeking meets soul searching and spiritual enlightenment…plus, for an even better time, then you can always just stick your head out of the window and poke out your tongue (not actually recommended! ).